← How can hidden lines help your pictures? The rule of ‘odds’ is grounded in our concepts of pattern and chaos. We find it easy to pick out a pattern. If the pattern is broken or shows anomaly it is more interesting. The eye is drawn into the picture. Odd numbers are just a little off the comforting pattern of evens. They draw the eye too. Click image to view large. It’s a little ‘odd’ – but ‘even’ is not as interesting! The rule of odds relies on the human sense of pattern to capture the attention the viewer. Our brains work well with pattern. We see pattern in almost everything in the world. So it is natural to see it as a central part of composition. When there are small groups of objects or people the rule of odds becomes a valuable attraction for the eye. 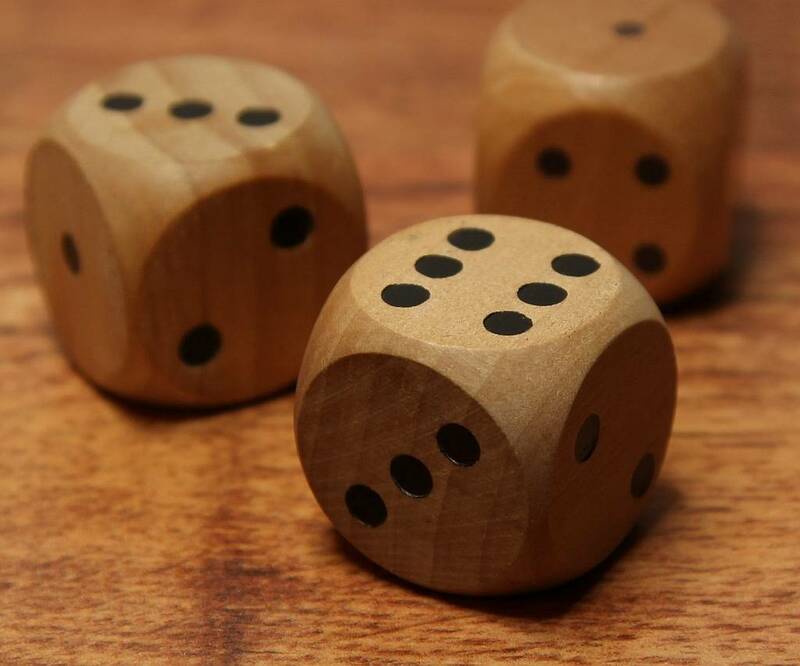 Why does the rule of odds work so well? There are several reasons. The eye is pleased by symmetry. Evenness represents symmetry. It represents balance… it’s about plainness and organization. On the other hand an odd number steps out of the realm of organization and plainness. When we see an odd number it is natural and compelling for our eye to seek the missing component to even it up again. We look into the picture to try and satisfy the pattern. Some pictures, like the one, above obviously have nothing in them to fulfill evenness. There is no fourth dice here. However, the number three creates another simple pattern. The Triangle is also attractive to us. Placed in a position that creates a triangle three objects form an implied shape that attracts the eye. It is symmetrical, yet it is odd. The rule of odds is not just about ‘threes’. The eye is drawn to odd numbers in small groups where we can see the oddness of objects at a glance. Five, seven, even nine are all numbers that pull the eye toward them. Once objects become too numerous to be immediately and obviously odd in number the appeal is lost. The eye does not search to fulfill the pattern. So the rule of odds works because of the simplicity of low numbers – it relies on quick recognition of the situation to draw the eye into the picture and keep it working to find the balance. This entry was posted in Background Info., Composition, Tips Tutorials & Techniques and tagged Aesthetics, Approach, Art, Composition, Creativity, Even, Evenness, Implied, Implied lines, Implied shape, Pattern, Rule, Rule of odds, Rules of Composition, Shape, Three. Bookmark the permalink.